In June there was a paper out in Frontiers in Microbiology by Laura W Parfrey and co-workers identifying the diversity of intestinal microbial eukaryotic communities (IMECs) in humans and other mammals. It's probably one of the most interesting papers I've read for a long time; maybe because it expands on many of the things I've been blogging about - or at least intended to blog about (!) - over the past two years. What the team did was to do comprehensive analysis of IMECs in both humans and mammals using broad specificity primers for PCR and next generation sequencing technology-based sequencing of the PCR products. While I'm not in a position to validate the analysis of the data, I'd just want to highlight the importance of the approach. It is very rare to see this type of analysis, despite the fact that it's probably the best currently available approach to studying the ecology, homeostasis and public health significance of IMECs. Some of these euks have probably co-evolved with humans and other animals over thousands and thousands of years and therefore may constitute part of the habitual/commensal flora; and so a current working hypothesis (Hygiene Theory) is that losing IMECs ('defaunation' due to Western life style (excessive hygiene and changes in diet)) may prove detrimental to human health and may be one of the most important reasons why we develop for instance allergies and other autoimmune diseases. 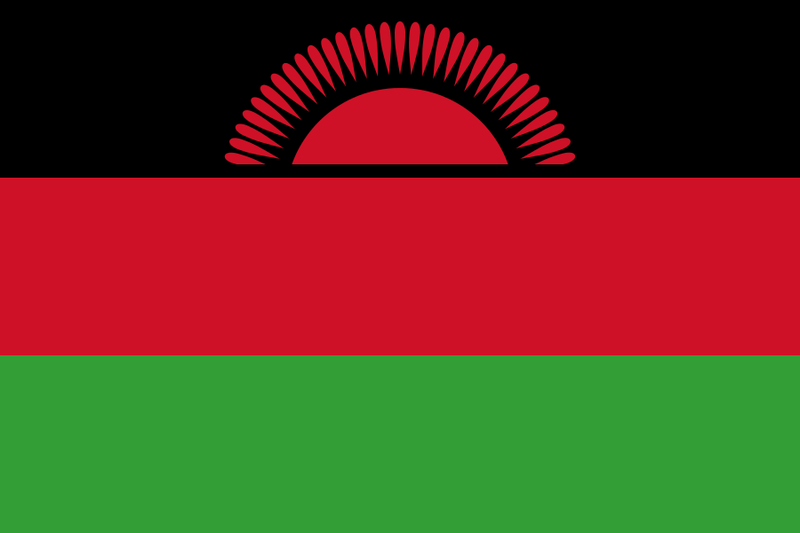 Blastocystis virtually obligate finding in Malawi citizens? And indeed, what the authors found was that among 23 study individuals residing in agrarian communities in Malawi, Blastocystis and Entamoeba were almost obligate findings (not found in two infants, but apart from that almost a consistent finding), while none of the 13 (somewhat age-matched) study individuals from Boulder, Colorado, were infected with Blastocystis, and only two individuals had Entamoeba coli. I was surprised to read that Dientamoeba was not detected in any of the populations; it appears that there is a strong geographical component to the distribution of this parasite, but as the authors mention, specific tools are needed to confirm the absence. The funny thing is that although this is not a paper specifically on Blastocystis, it is probably the most interesting surveys on Blastocystis coming from the US and a very valuable Blastocystis. Data on Blastocystis in this country is really scarce, but if the prevalence of the parasite is really as low as indicated in this study, then it's maybe quite understandable! And maybe (and this is a highly presumptuous 'maybe', I know) Blastocystis might even therefore an emerging pathogen in the US? When was the US experiencing the great IMECs wipe out? Can it be confirmed? Is there - within the US - also a strong geographical compoenent to the prevalence of IMECs? Anyway, there are many interesting observations in the paper - and please visit the supporting files. Blastocystis ST11 was confirmed in an elephant (which also hosted Entamoeba moshkovskii! Probably first report of this parasite in an animal). ST13 was found in a Gazelle; not surprisingly, but nice to see independent data confirming what few researchers have found until now. ST4 was found in a sheep and in Okapis; when it comes to ST4, I'm hardly surprised about anything; it appears to be such a sporadic finding in a diversity of non-human hosts (i.e. low host specificity and incidental); one sheep also had ST8, a subtype almost exclusively seen in non-human primates (even South American monkeys rather than for instance African monkeys and apes), so this was surprising too. ST8 was moreover found in two kangaroos (not the first time), in an okapi (different from two first ones) which also hosted ST12, and in an armadillo! 1) The study is one of the first to virtually survey IMECs in human and non-human faecal samples using NGS tools. 2) The study confirms a very high prevalence of Blastocystis in some sub-Saharan African communities (for more on this, see a previous blog post), and interestingly, the prevalence and co-infection rate of (up to four species of) Entamoeba was comparably high. 3) Data suggest that IMECs in Western populations are highly reduced compared to rural African populations, but we still need to know more about the relative distribution of for instance fungi and whether these fungi are actually colonising the gut or just carry over from ingested food; right now, it seems as if there might be an inverse relationship between fungal and non-fungal IMECs... something that we can hopefully soon gather sufficient data on for publishing. 4) For those interested in Blastocystis subtype data, including host specificity and geographical distribution, there is a lot to look at in the paper (including supplementary files). There's a lot more to be said about this paper, but I will sort of leave it here. But please go and read it! Speaking of metagenomics: The July 2012 issue of one of the most prestigious journals in the field of clinical microbiology, Clinical Microbiology and Infection (CMI – published by European Society of Clinical Microbiology and Infectious Diseases), focuses entirely on recent advances in metagenomics, including its implications on clinical microbiology. Several of the keynote speakers from the MetaHIT conference in Paris (March, 2012) have contributed with papers, including Rob Knight, Willem M. de Vos and Paul W. O’Toole. In his editorial, Didier Raoult, puts emphasis on mainly two things: 1) that we need to be patient with data obtained from studies using metagenomics, since currently some conclusions are pointing in different directions and data are still scarce, and 2) that metagenomic studies should be independent of financial support from commercial sources, such as the industry of antibiotics and probiotics. Although it may be too early to make b/w inferences from data already published, I think that the pioneers in metagenomics teach us to re-think or at least modify several hypotheses about the role of intestinal microbes in gastrointestinal health and disease and pursue new and exciting trajectories. In this blog post I would like to highlight a few things that may be interesting to people who are not familiar with metagenomics, but who are interested in our gut flora and how it may impact our lives. So, what is metagenomics? Well, only a few years ago, microbiologists were used to looking at one single organism at a time, when exploring the potential role of an organism in health and disease. They were dependent on isolating the organism, for instance by culture, in order to have sufficient material for molecular studies, and in order to avoid mix-up of data from contaminating organisms. However, the human intestinal microbiome (gut flora) is made up by a plethora of organisms, mainly prokaryotes (bacteria), but also to some extent eukaryotes (parasites and fungi), archaea and viruses. Metagenomics, facilitated by massive high-throughput parallel sequencing of nucleic acids extracted from human faecal samples, allows us to get a holistic picture of the entire gut flora of a person. I.e. : We move from examining one single species or organism at a time, to be analysing entire eco-systems. We get to know not only the composition of microbic species inhabiting our gut, but also how they impact our body physiology: Interestingly, Gosalbes et al. (2012) describe how the composition of the intestinal flora may differ significantly from person to person, but later shows that the active intestinal flora is fairly similar among healthy individuals. So, what’s the active flora? Briefly: while metagenomics analyses the DNA (16s rDNA) from the microbiome and hence provides us with data on the mere composition of microbes, including a quantification, metatranscriptomics looks at RNA communities by looking at 16S rRNA and mRNA transcripts. In this way, we get to know the function of the intestinal microbiota and can temporarily ignore the part of the microbial community that is in “stand-by” mode only. The collective genome of the intestinal microbes vastly surpasses the coding capacity of the human genome with more than 3 million genes - in comparison the human genome comprises 20,000-25,000 protein-coding genes. So far, metagenomic studies have focused mainly on bacteria, and hence we know very little about how intestinal parasites directly or indirectly impact the remaining gut flora and the host, and, importantly, how the bacterial flora influences the presence and activity of parasites. This is due in part to methodological limitations, but mainly to the fact that the bacterial microbiome can be viewed as an organ of the human body (Baquero et al., 2012) taking care of vital and irreplaceable functions that the host is not otherwise capable of, ranging from energy and vitamin metabolism to epithelial barrier integrity and immune modulation (Salonen et al., 2012). Like any other organ, the microbiome has physiology and pathology, and the individual (and collective?) health might be damaged when its collective population structure is altered (Baquero et al, 2012). This is one of the reasons why studies of host-gut flora interactions have focused on bacteria. We see that the three enterotypes are dominated by mainly three different types of bacteria (Bacteroides, Prevotelia and Ruminocoocus, respectively). However, as mentioned earlier, functional analysis (and probably a lot more sampling) is required to understand microbial communities. One of the interesting topics in this respect is how enterotypes correlate to different health/disease phenotypes; i.e. whether people with a certain gut flora are more prone to (a) certain type(s) of disease(s).There is preliminary evidence that variations in the microbiota are linked to diseases including bowel dysfunction and obesity. In terms of parasites, I believe that in the near future we will see data revealing to which extent - if any - common intestinal micro-eukaryotes such as Blastocystis and Dientamoeba correlate with these enterotypes or other subsets of bacteria which will enable us to generate hypotheses on the interaction of micro-eukaryotes and the bacterial flora, which in turn may impact host physiology. I will expand a little more on this in an upcoming letter in Trends in Parasitology (article in press). Interested in more: Why not have a look at Carl Zimmer's article in The New York Times about gut flora transplantation, or read about modulating the intestinal microbiota of older people to promote enhanced nutrition utilisation and to improve general health (O'Toole et al., 2012)... Also, have a look at my most recent blog post. Using Blastocystis as an example, we have only recently realised the fact that conventional diagnostic methods in many cases fail to detect Blastocystis in faecal samples, which is why we have started using molecular diagnostics for Blastocystis. I was also surprised to realise that apparently no single drug can be used to treat Blastocystis, and that in fact we do not know which combo of drugs will actually consistently eradicate Blastocystis (Stensvold et al., 2010). There will come a time - and it will be soon - where it will be common to use data from genome sequencing of pathogenic micro-organisms to identify unique signatures suitable for molecular diagnostic assays and to predict suitable targets (proteins) for chemotherapeutic intervention; in fact this is already happening (Hung et al., in press). However, despite already harvesting the fruits of recent technological advances, we will have to bear in mind that the genetic diversity seen within groups of micro-organisms infecting humans may be quite extensive. This of course will hugely impact our ablility to detect these organisms by nucleic acid-based techniques. For many of the micro-eukaryotic organisms which are common parasites of our guts, we still have only very little data available. 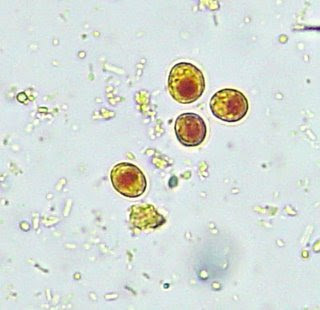 For Blastocystis, data is building up in GenBank and at the Blastocystis Sequence Typing Databases, but for other parasites such as e.g. some Entamoeba species, Endolimax and Iodamoeba, we have very little data available. We only recently managed to sequence the small subunit ribosomal RNA gene of Iodamoeba, and we demonstrated tremendous genetic variation within the genus; it is now clear that Iodamoeba in humans comprises a species complex rather than "just" Iodamoeba bütschlii (Stensvold et al, 2012). Ribosomal RNA is present in all living cells and is the RNA component of the ribosome. We often use this gene for infering phylogenetic relationships, i.e. explaining how closely or distantly related one organism is to another. This again assists us in hypothesising on transmission patterns, pathogenicity, evolution, drug susceptibility and other things. Since ribosomal RNA gene data are available for most known parasites, we often base our molecular diagnostics on such data. However, the specificity and sensitivity of our molecular diagnostic assays such as real-time PCRs are of course always limited by the data available at a given point in time (Stensvold et al., 2011). Therefore substantial sampling from many parts of the world is warranted in order to increase the amount of data available for analysis. In terms of intestinal micro-eukaryotes, we have only seen the beginning. It's great to know data are currently builiding up for Blastocystis from many parts of the world, - recently also from South America (Malheiros et al., 2012) - but the genetic diversity and host specificity of many micro-eukaryotes are still to be explored. It may be somewhat tricky to obtain information, since conventional PCR and sequencing offer significant challenges in terms of obtaining sequence data; such challenges can potentially be solved by metagnomic approaches - today's high throughput take on cloning; however, although the current next generation sequencing technology hype makes us feel that we are almost there, it seems we still have a long way to go - extensive sampling is key!